TSM is a highly reputable Outpatient Orthopaedic clinic with strong ties to the community. Our therapists focus on providing high-quality patient-oriented care in a great work environment, working in close contact with some of the best orthopaedic doctors in the state. 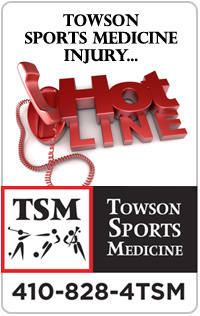 Please contact Christina Lewis 410-337-8847 ext 1150 or email: clewis@towsonortho.com.